16 March: Property described as metal body parts (boat, not human body parts!) taken from a boat at Hoo. Male has been arrested and positively dealt with. Is your lifejacket like this? The RNLI Sea Safety team will be on hand to check your lifejacket on 11 May 2013 at Medway Yacht Club. Unfortunately, the RNLI will not be attending Pirates Cave as previously advertised..
Tim Bell of the Isle of Sheppey Sailing Club invites sponsorship of the Round the Island Race on 7 September. It would help the race if as many as possible nominate it for the Yachts and Yachting promotion:- IOS Round the Island race, for sponsorship see #GetOutAndSail, [date of race 7th September,] [Sheppey Island race] [Isle of Sheppey Sailing Club] [leave classes blank]. The more nominations we get the more chance we have. Other clubs may like to nominate their event on another month. This year the preacher will be Rev Peter Shore who is a Chaplain who works with the Royal National Mission to Deep Sea Fishermen so we hope to see some local fishermen on the water. 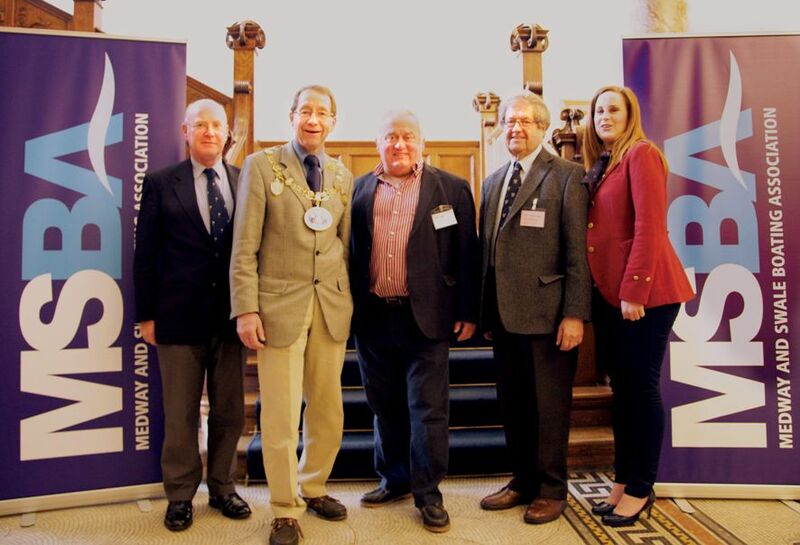 This event, held in the Wardroom of the former HMS Pembroke, now part of the university complex in Chatham, marked the relaunch of the MYA under its new name. Many of the delegates were from other parts of Kent and East Anglia. As well as a line-up of excellent speakers we were pleased that senior representatives from both Medway and Swale councils and Medway Ports came to tell us of their plans and answer our questions. 28 Feb: 8 ‘pig iron’ blocks weighing approx. 1.5 tons used as ballast taken from a boat at Medway Bridge Marina. At end of February five boats were broken into at Medway Wharf Marina, Wateringbury in one night 26/02 to 27/02. Batteries were removed from under cabin soles. A total of 13 batteries were taken from the five boats, each worth in the region of £100.